Take a look at how Wiseco can improve performance and reliability of your 4 stroke engine from the bottom up. Powersports enthusiasts tend to have one thing in common: they want the absolute best components possible to make their machines run faster and better than before. Typically, the average enthusiast opens up their wallet first for an aftermarket exhaust. While the gains from this install can be noticeable, it’s what’s inside the engine that can bump your machine up to that next tier of performance. 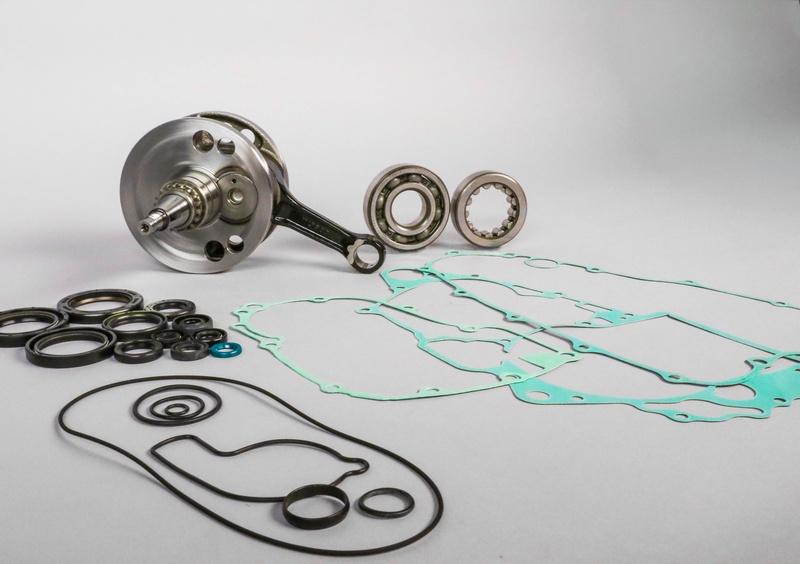 The performance gains from an aftermarket piston and crank kit can be substantial, which is why many teams across the professional motocross paddock enlist help from aftermarket performance parts manufacturers. However, with many brands and options out on the market, it could be difficult finding what’s right for you. Wiseco pistons are bar to box. They complete every step of the production process in house. 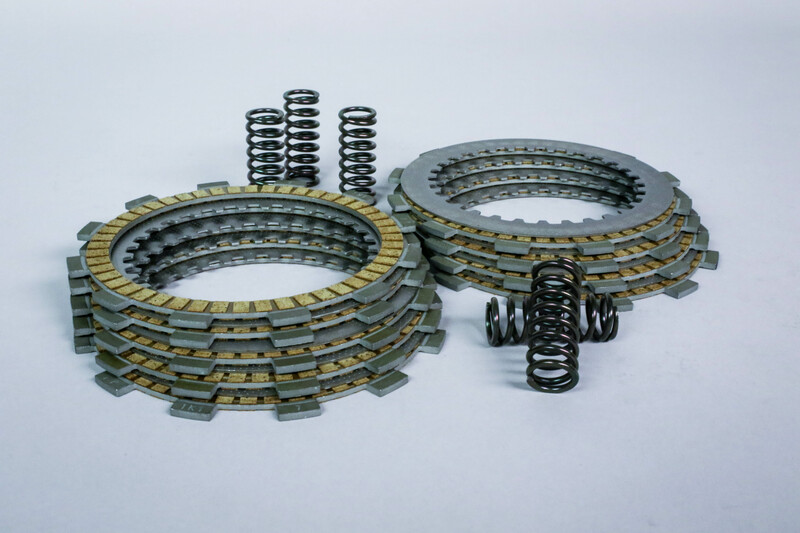 Wiseco offers a large breadth of parts, including everything you need for a quick clutch freshening up to just about everything for a complete engine rebuild. One of the biggest and well-known products they have to offer, though, are their forged pistons. 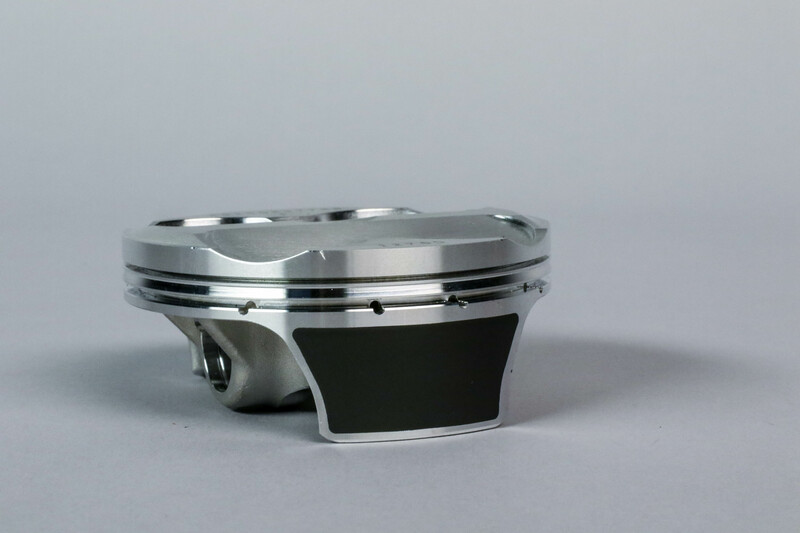 Compared to a cast piston, a forged piston is much more stable under high demands and is extremely reliable. “When a piston is manufactured in its cast, you take molten aluminum and pour it into a mold,” explains Sulecki. “From that shape you can machine it into a piston. What happens when you do that, though, is you degrade the molecule structure and you get a lot of voids, inclusions, and defects. So, you have somewhat of a weak structure. When you forge aluminum, you actually force all of the constituents of the metal closer together, and they become bonded to each other. That not only increases the tensile strength of the material, but it also improves the ductility. 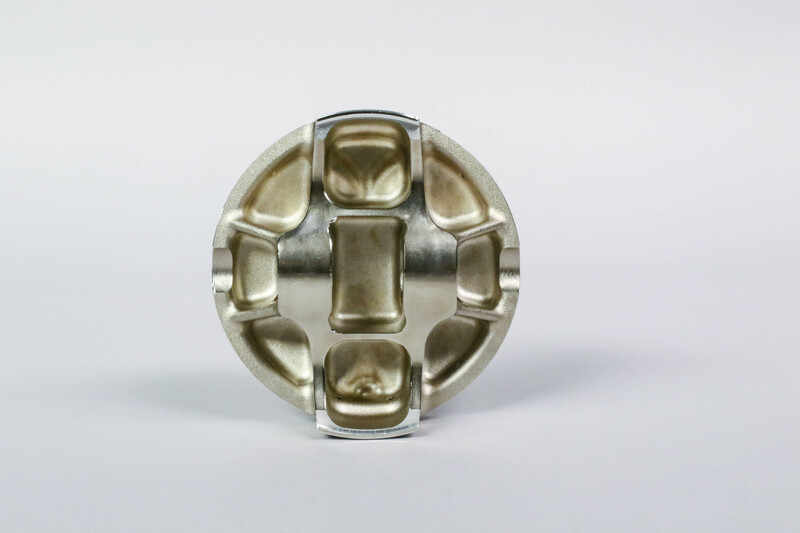 Ductility is the ability for the aluminum to bend before it breaks, compared to a cast aluminum structure that will break before it bends. I always like to use the comparison of bending a paper clip over and over when explaining ductility. If you keep bending it back and forth, eventually it breaks. 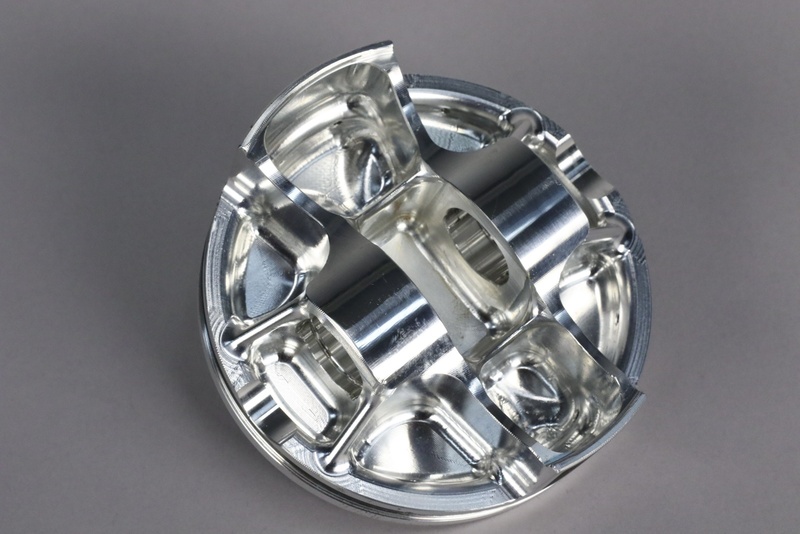 Wiseco offers a variety of forged 4-stroke pistons, each of them designed with unique features for specific applications. The Racer's Choice and Racer Elite pistons come with a DLC coated pin. Read on to learn more about these pistons. The ArmorGlide skirt coating is not just there for break in. It is permanently applied and reduces friction for the life of the piston. 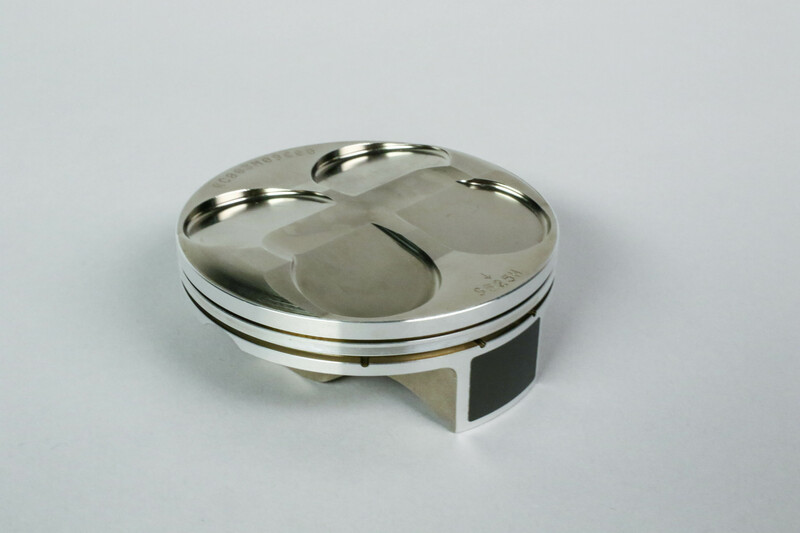 Everyone from the weekend hobbyist to the professional racer has a fitting piston option from Wiseco. 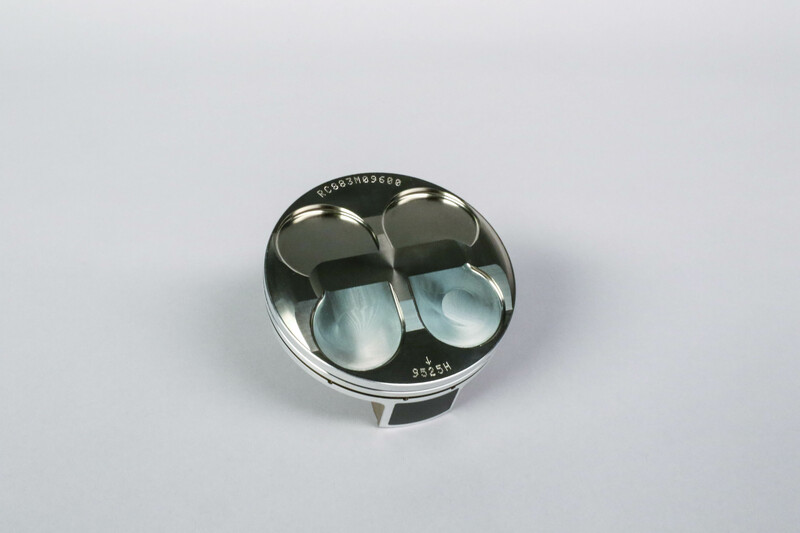 The standard pistons are all forged from aerospace quality materials, have precision machined skirts, and are designed with optimized structure and domes to increase burn efficiency, ring seal, reliability, and overall performance. 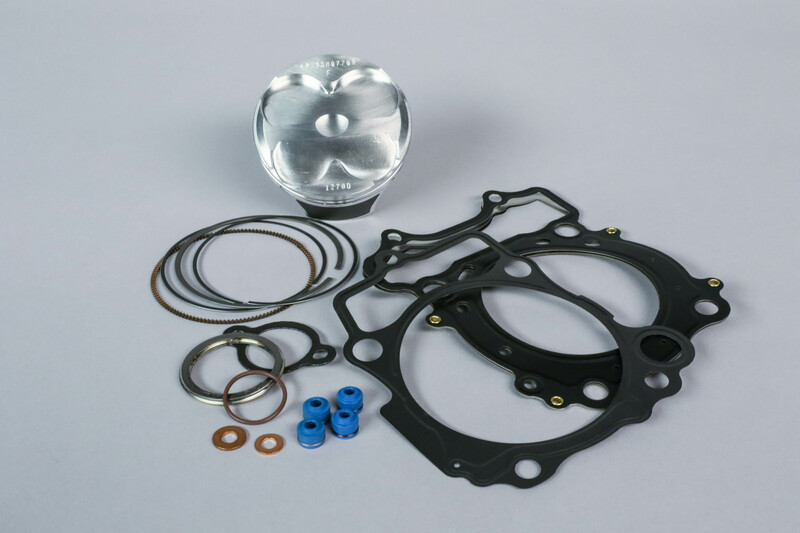 Wiseco offers the ability to order your pistons complete with all the necessary gaskets for your top end. Racer's Choice pistons feature ArmorPlating on the dome, ring grooves, and pin bore, ArmorGlide skirt coating, and a box and strutted design for added strength. 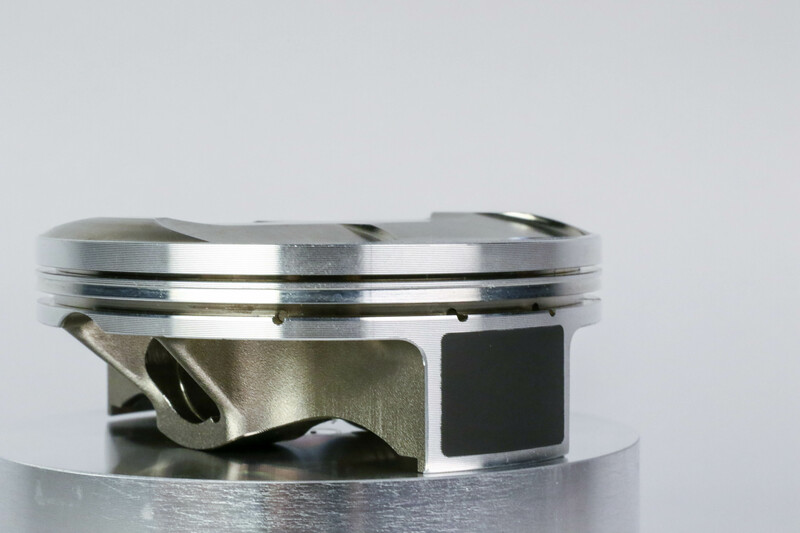 The added strength of the 450 enhanced piston is evident in the beefy-ness of the pin tower. One piston with more limited applications is the 450 Enhanced Pin Tower piston. It shares some qualities with the Racer’s Choice pistons, including the box and strutted design and ArmorGlide skirt coating, along with the features of a standard piston. 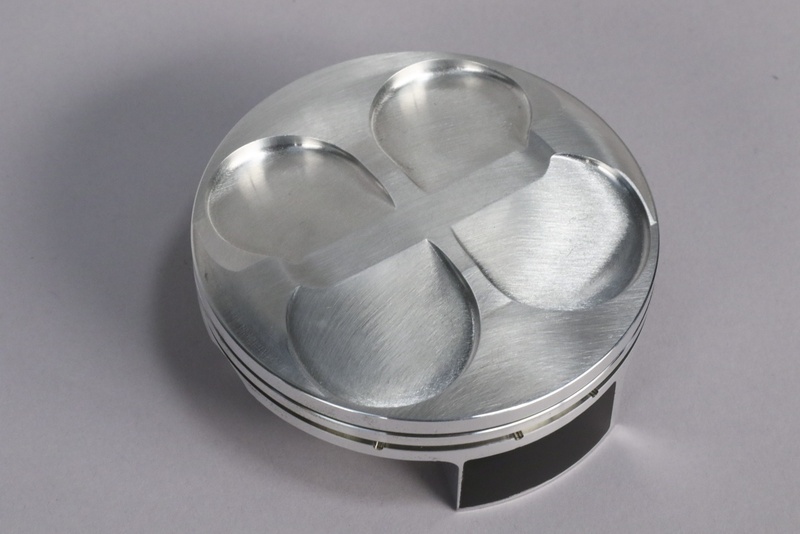 The idea behind this piston design was to create an affordable hi-performance piston option that provides enhanced strength to address the force the pin bore is exposed to during engine operation. For racers who are the most demanding of their engines, Wiseco has the new Racer Elite series of pistons. 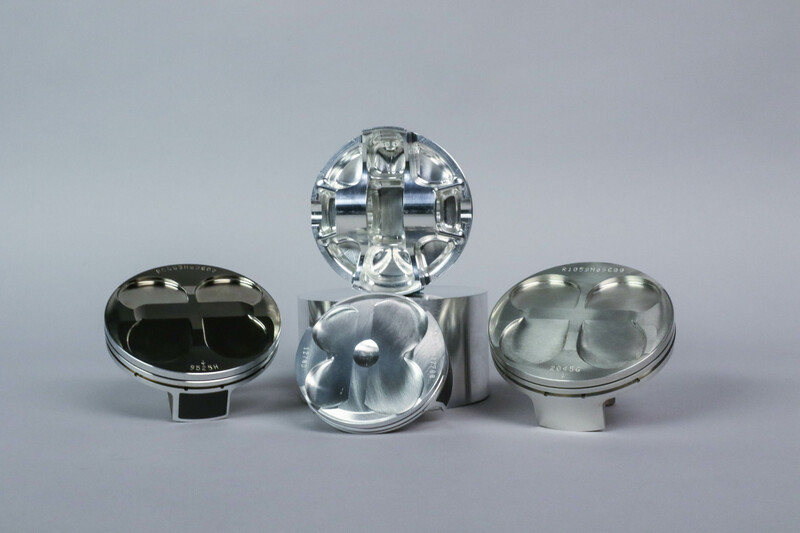 These are no expense spared full billet pistons with a box and strutted enhanced pin tower design, along with an industry first asymmetrical skirt design. 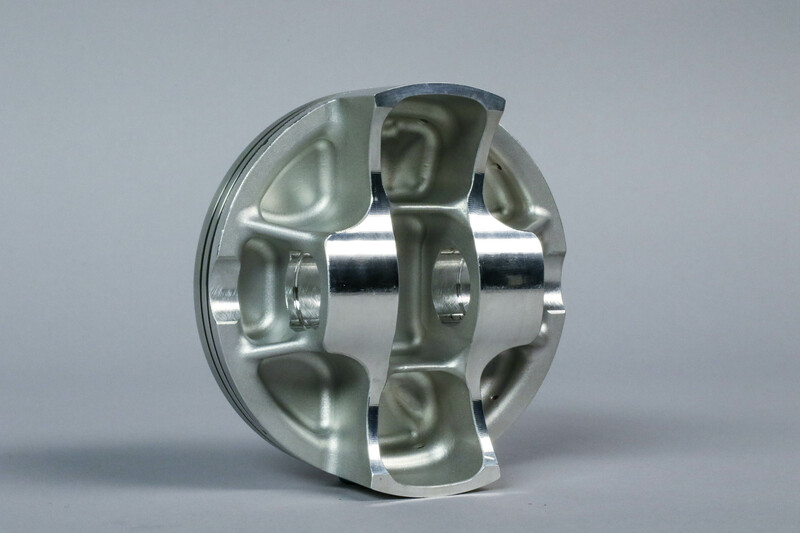 The asymmetrical skirt reduces friction and improves stability by having more skirt surface only on the side of the piston that makes the most stressful contact with the cylinder. The ultra flat ring groove and lapped ring also reduce blow by over 30%, which contributes to more compression and more horsepower gain. 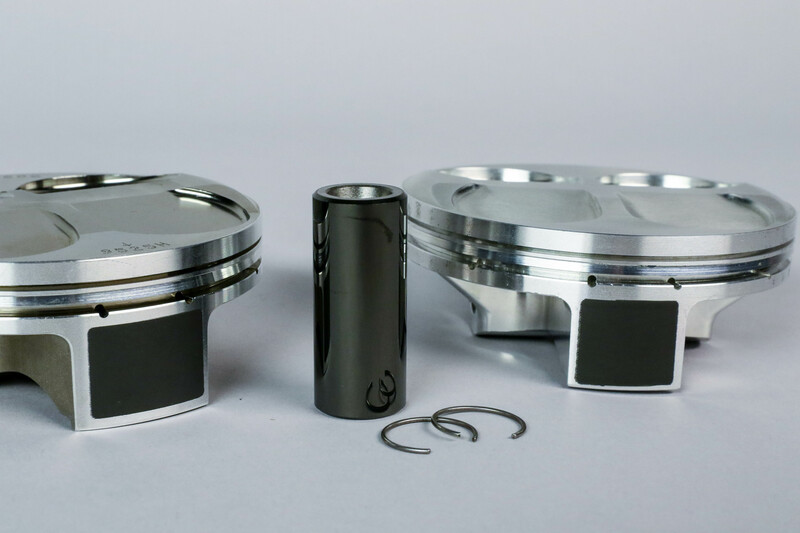 These pistons also feature the ArmorGlide skirt coating and a DLC coated wrist pin. Wiseco Racer Elites are no expense spared pistons. Full billet, asymmetrical skirt design, ultra flat ring groove, box and strutted design, and ArmorGlide skirt coating. Order one part number and receive everything you need to rebuild your bottom end. 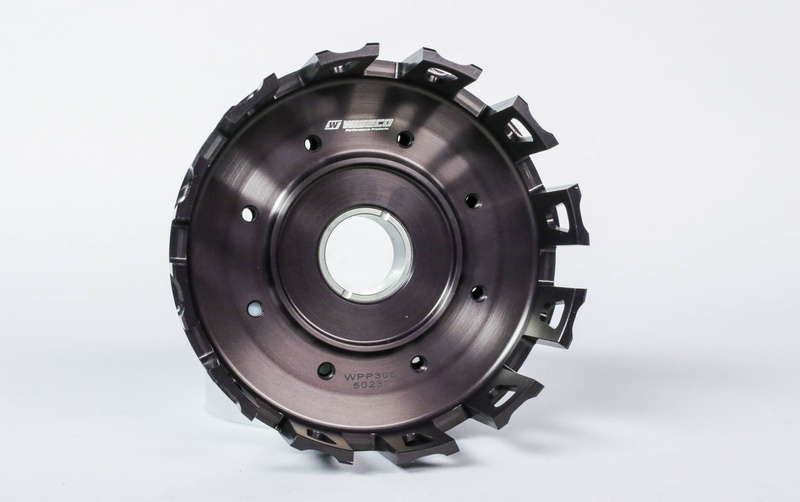 Wiseco clutch kits include an industry first forged basket, and can be ordered at different levels based on the parts you need.